Mark began his professional broadcast career at a tiny radio station in Bennington, Vermont. He would later work in six television markets, including Denver. 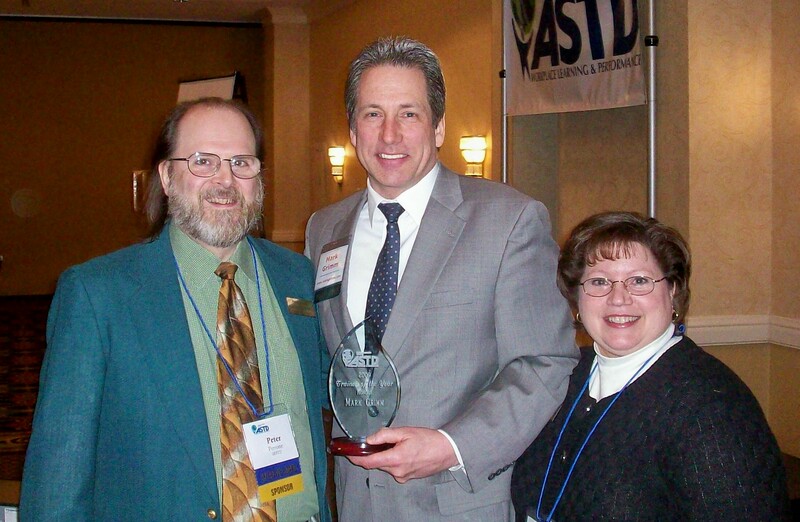 Mark Grimm was named the "Trainer-of-the Year" by the Hudson-Mohawk chapter of the American Society of Training and Development (now the Capital Region Association for Talent Development). The chapter covers a 20-county region, stretching from the Adirondacks to Newburgh and from the eastern NY state line to near Utica. Grimm accepted the award “on behalf of all my fellow colleagues in workforce learning and performance who have meant so much to the thousands of people they have trained. I have learned so much from you and will continue to count on your wise counsel and innovative thinking." Grimm is founder of Mark Grimm Communications, a Guilderland firm that provides public speaking training, media relations, and message strategy. He is a former Entrepreneur of the Year for the Guilderland Chamber of Commerce. He wrote the book, Everyone Can Be A Dynamic Speaker: Yes, I Mean You! He is also executive producer/host of the Siena Alumni Connection radio show, an adjunct Siena media professor, an on-camera/voiceover talent, and a Guilderland Town Board member.